Hey Friends! It’s Lori here. This month I decided to bring you a fun back to school project. I know a lot of us are going back to school or sending our little ones back. Theres nothing more fun than buying school supplies, am I right?! 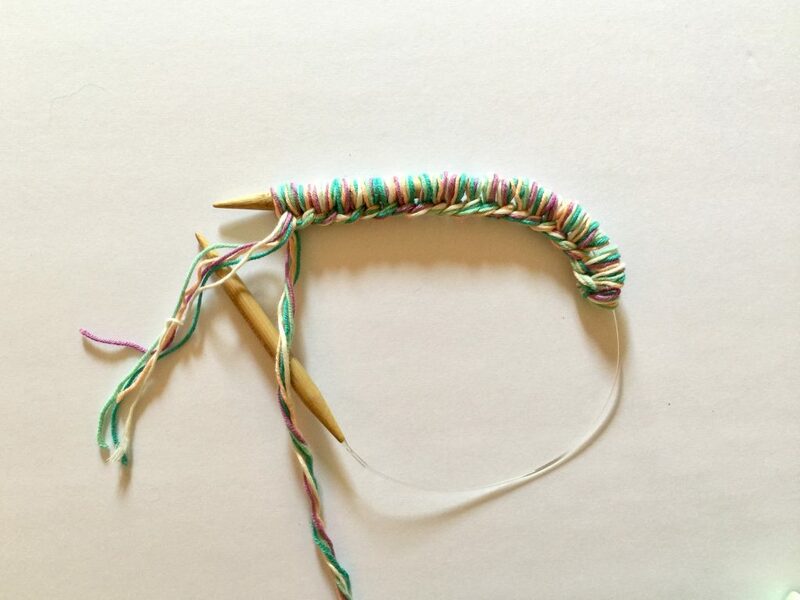 Okay,maybe making your own school supplies is more fun! So lets go ahead and get started on how to make your very own Unicorn Poop Pencil Case! 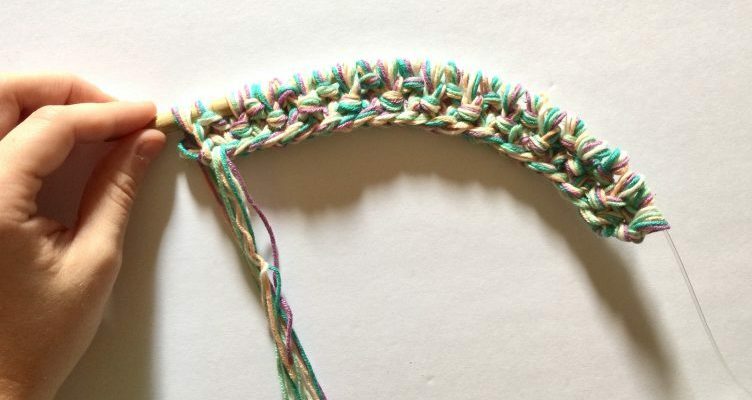 Holding all strands of yarn together, cast on 25 stitches using the long tail cast on method. 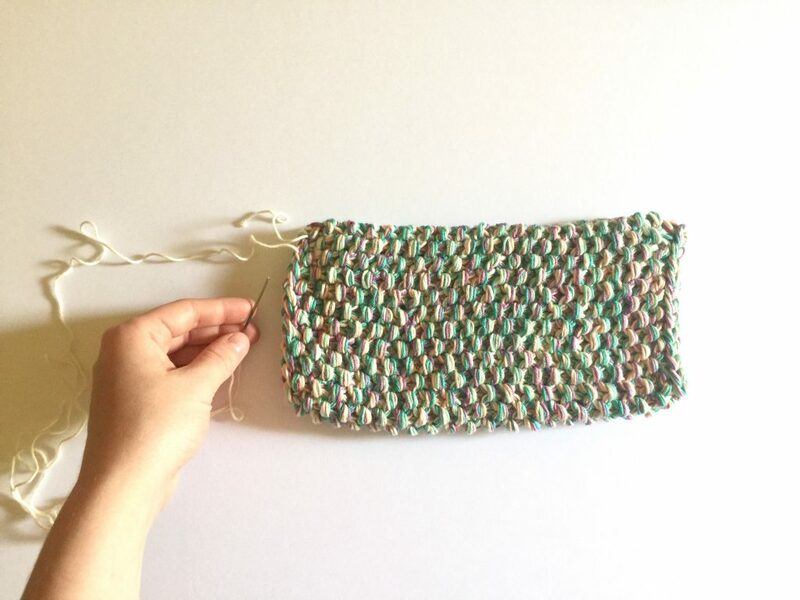 You will work the body of the bag using the seed stitch. Row 1-40: *Knit 1, Purl 1* Repeat until end. 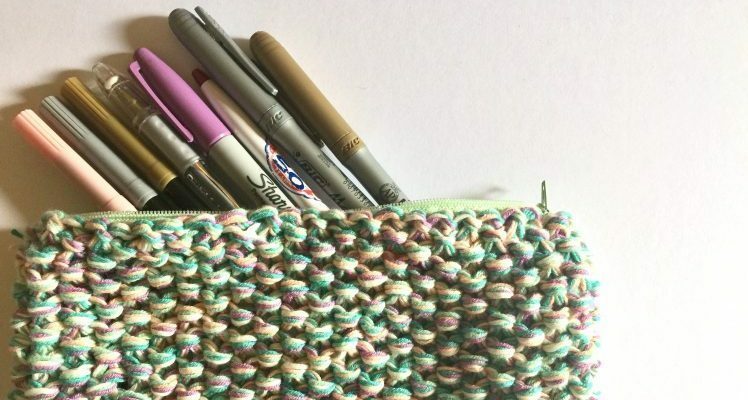 If you are adjusting bag size, be sure that a knit stitch falls where a purl stitch is in the previous row and vice versa. 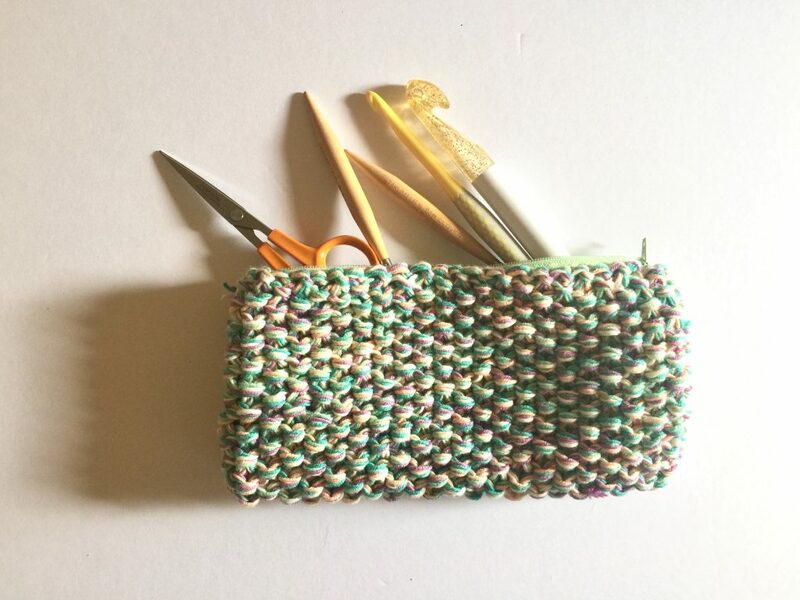 Cast off all stitches using the method of your choice. You should have something that looks like the picture above. 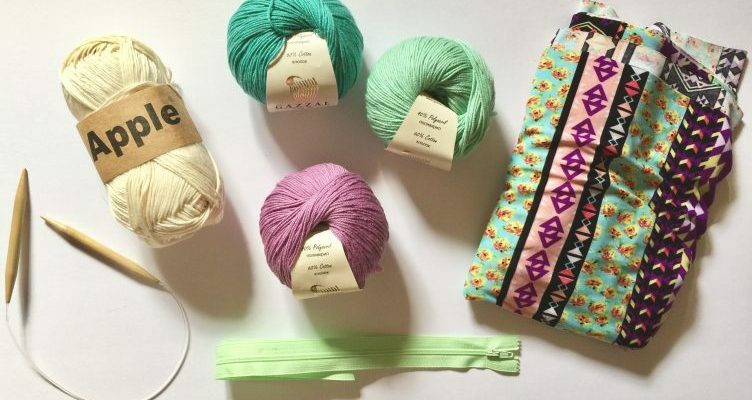 Line up the part you just knit on top of your fabric. Be sure to leave about a 1/4 inch all around for your seam allowance. 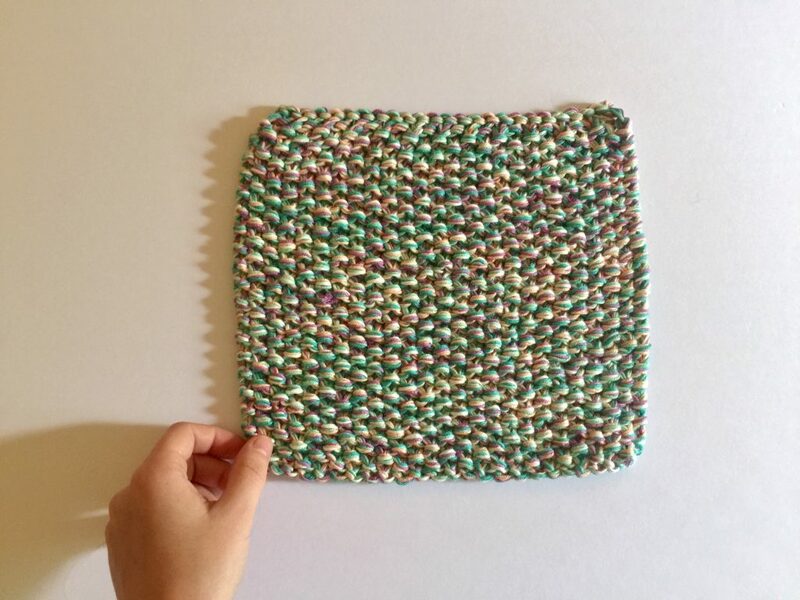 Fold your knit piece in half (it doesn’t matter which way you fold it). Sew up both sides of the piece leaving the top open. Turn your piece right side out (seams will now be on inside). 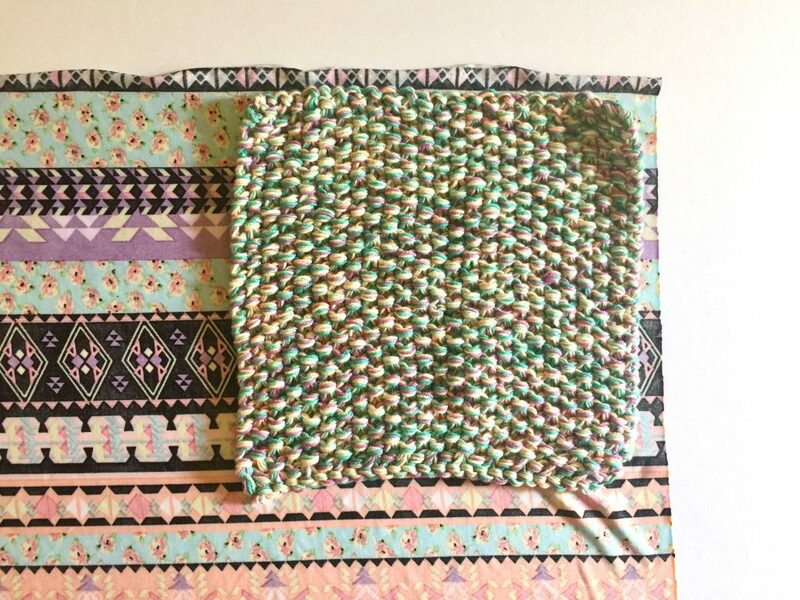 With the right sides facing each other, sew up both sides of your fabric (make sure to fold your fabric the same way you folded your knit). DO NOT turn your piece right side out. Now it’s time to sew the zipper to your pouch. 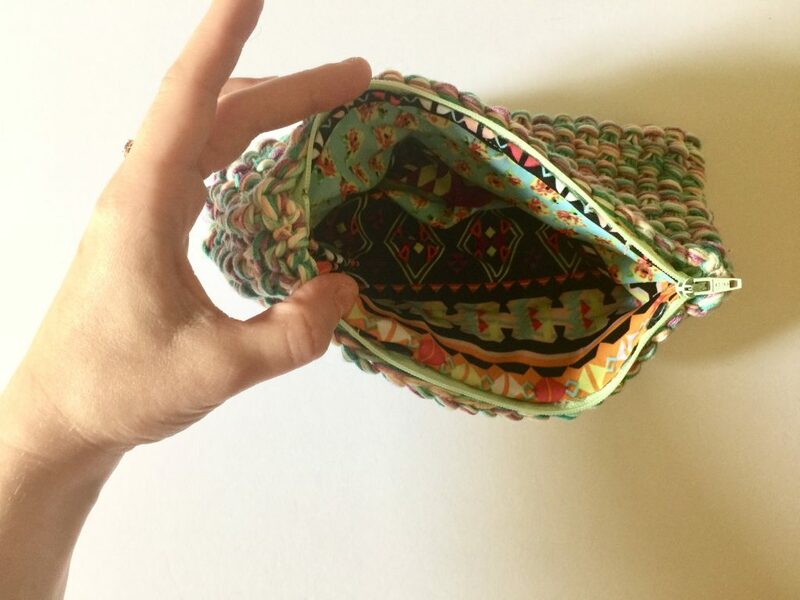 Fold the edges of your zipper to down and sew the zipper to the top of your KNIT pouch. Now sew your lining in. Be sure to fold the top part of your fabric over when sewing it in so you have a clean edge. Sew the fabric over the zipper to hide any imperfections. 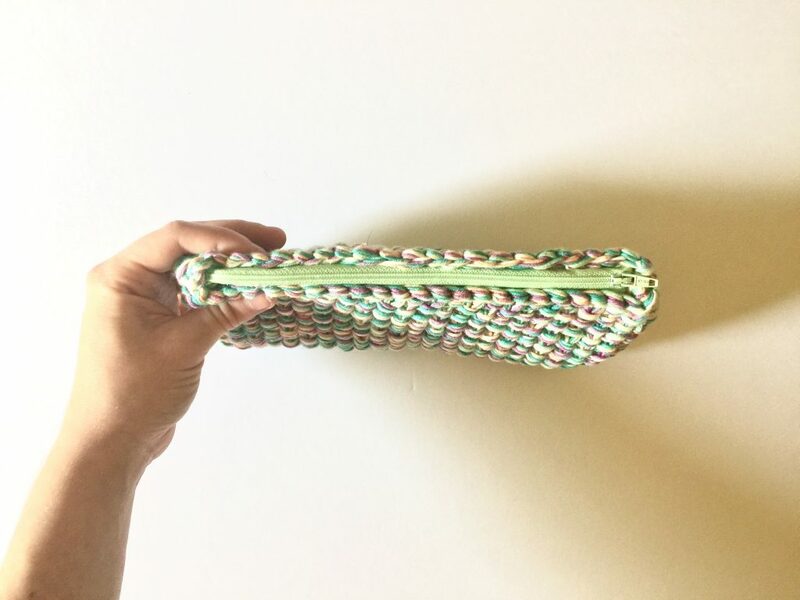 And your Unicorn Poop Pencil Pouch is all finished! You can now fill it with all the things your heart desires. 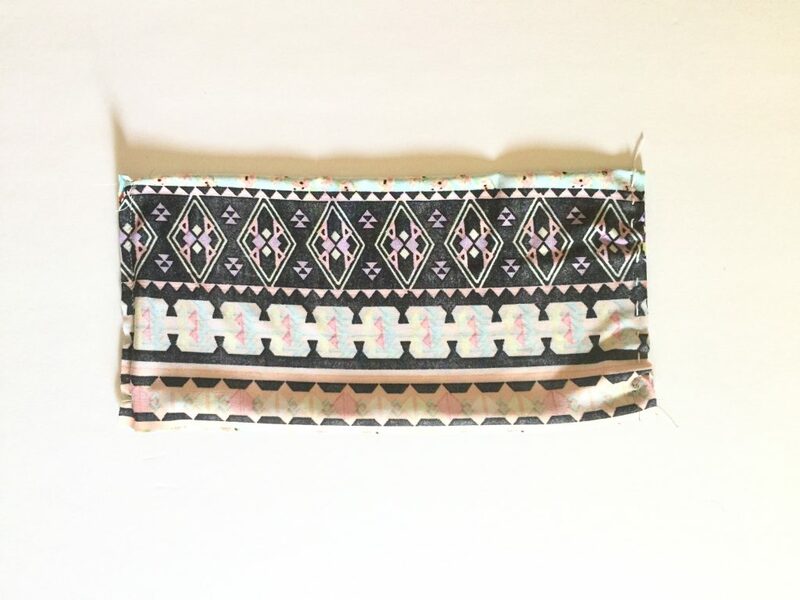 It’s not only good for a school bag, but all things crafty as well!